It’s Confetti Park Storytime! 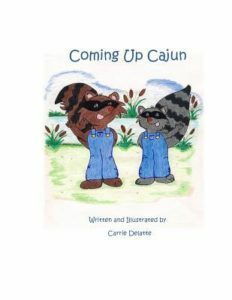 In this episode, author Carrie Delatte narrates her children’s book Coming Up Cajun, which is based on the true tales of two little boys growing up in the heart of Cajun Country. Full of nature, this sweet tale told in rhyming verse captures some of the wholesome outdoor activities, daily chores, and good times of Carrie’s own children. “From the green of the land, to the blue of the bayous, they made the best of their time in the splendour of a Southern youth,” says Carrie. The story is educational for how it captures all the activities that are part of daily life for kids growing up in the country, such as gathering eggs, trapping, fishing, hunting, loading bales of hay, tending livestock, paddling in their pirogues…. In addition, Coming Up Cajun is chock full of Cajun French vocabulary, and Carrie includes a handy glossary for readers’ benefit. 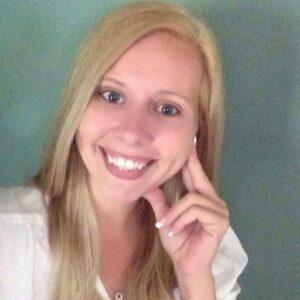 Born and raised in quaint Gheens, Louisiana, Carrie Delatte is the proud mother of four young children. She was brought up on a small farm off of Central Bayou Lafourche, and she enjoys southern living and the beauty of nature. Carrie was diagnosed at the age of seven with the neurological disorder known as Tourette’s Syndrome. Carrie has vowed to donate 10% of proceeds from each title she releases to the Tourette’s Association of America (formerly called the National Tourette’s Syndrome Association) to further assist in the search for a cure, research and educational purposes. Her one outlet from the daily life of a “ticcer” is her writing. Thank you so much, Carrie, for sharing your stories with Confetti Park!